Plot: When an innocent woman is burned alive for being a witch, she curses the family responsible and vows revenge. Years later, an evil Baron marries her daughter as a plague threatens the land. Secrets will be revealed as the older daughter, murdered by the Count, returns to fulfill her mother’s curse. Richard’s Review: I watched this one years ago but remembered nothing about it. 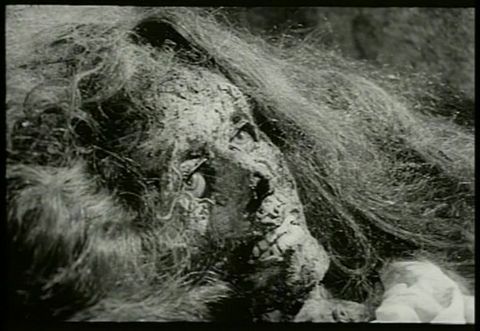 Since then, I’ve grown to appreciate European horror so much more, so I was excited about revisiting The Long Hair of Death and I was not disappointed. Director Antonio Margheriti is a master of gothic horror and his talent is on full display here. From the set pieces to the lighting, this one is full of classic gothic goodness. Add in the legendary Barbara Steele and you have an engaging ghost story full of revenge and truly horrific moments. The ending is quite chilling. Raro Video’s film print looks amazing but the quality on the interviews is low budget and looks dated, most likely reused from previous releases. I would have loved a more in depth documentary on the making of the film or maybe a segment on Barbara Steele. However, the film more than makes up for the lack of extras. Highly recommended! Karla’s Thoughts: I really liked this one even if it was a little too long and drawn out. I was easily confused by the ending as it was hard to determine which character Barbara Steele was playing. I’m curious as to how the mother and daughter came back to haunt the Count and his son. Were they really witches or just ghosts? Also, how Lisabeth didn’t die was a little confusing as well. Despite these minor issues, I did enjoy it but I’m not sure I’d watch it again. Antonio Margheriti also directed Horror Castle (1963), Castle of Blood (1964) and Web of the Spider (1971), as well as several sci-fi flicks such as The Wild, Wild Planet (1966) and Snow Devils (1967). Barbara Steele’s credits include Black Sunday (1960), Pit and the Pendulum (1961) with Vincent Price and Curse of the Crimson Altar (1968) with Boris Karloff and Christopher Lee. 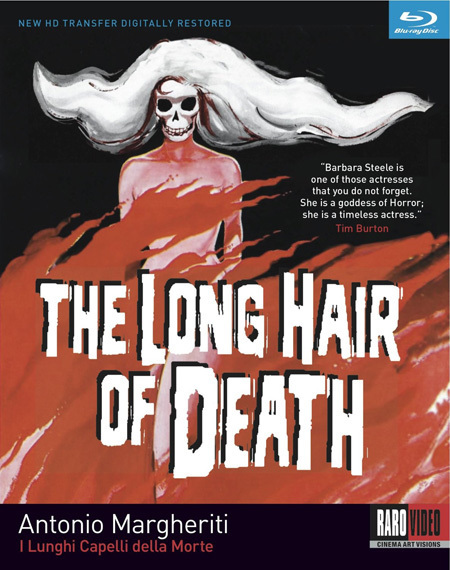 Availability: The Long Hair of Death is available on Blu-ray from Raro Video.